How are Paiwen Stand Up Paddleboards specific to women? The Paiwen paddleboard is a wonderfully stable, lightweight SUP that is easier to get in and out of the water. SUPs that are lighter, shorter and wider. 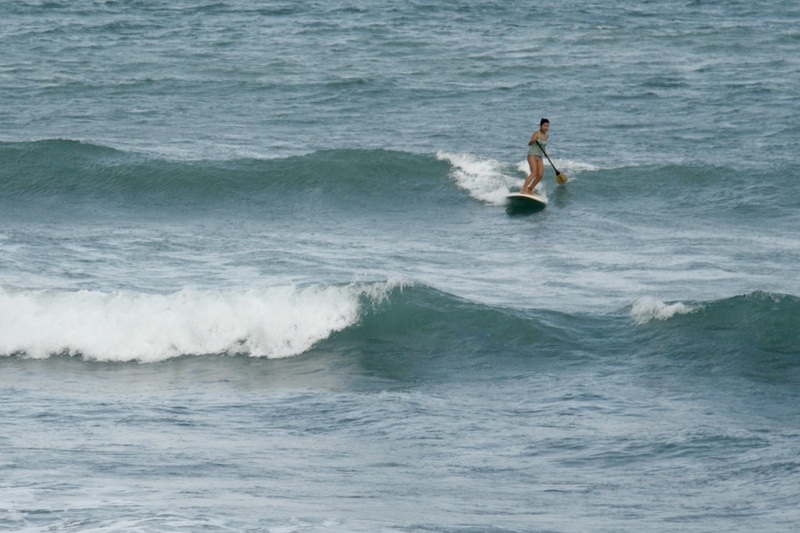 This shape also helps easier turning in tight areas and on waves. Add the Magic fin (included in the package) and you instantly have touring board. This fin helps keep your board in nice straight line, so less switching hands between paddle strokes. Rounded rails provide harmony to the board giving you a soft, easy turning ride in the waves. Our deck pads provide extra cushion for softer feet. Our Paddles have a smaller handle for women hands and a narrow shaft for easy gripping. 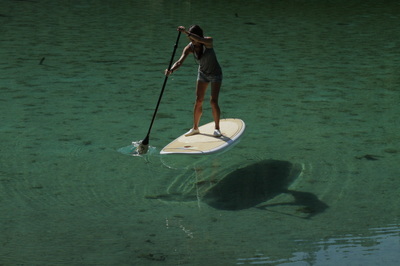 As opposed to a general SUP paddle. Our company is on a mission to create the lightest SUP board construction, without sacrificing durability, so women are able to easily carry their board; And, avoiding regular repairs. Our board design and brand aims to appeal to women. "A feminine look". We work to promote the sport to women all over the world by traveling, meeting up with paddleboarders, taking photos and creating videos all focused around women who love to paddleboard. And we will continue to refine our boards and accessories to make them perfect for women in every way possible.